On Sundays, children stay with their parents in church to enjoy a song or two together and sometimes to listen to a Kids Spot. They then go out to Kid’s church in the hall for more singing, a memory verse, craft, games and an interactive Bible Story time. A crying room is available for babies and toddlers(<3 years) to give parents an opportunity to both stay with their children and still hear the service. A selection of toddler books and toys are available. A fun filled program for children aged from 3 years to Year 4 at primary school. A middle school program for children in years 5 – 8. For Youth in Years 9 -12. Once or twice a year, we run Super Saturday, a Kids holiday Program for primary aged children. 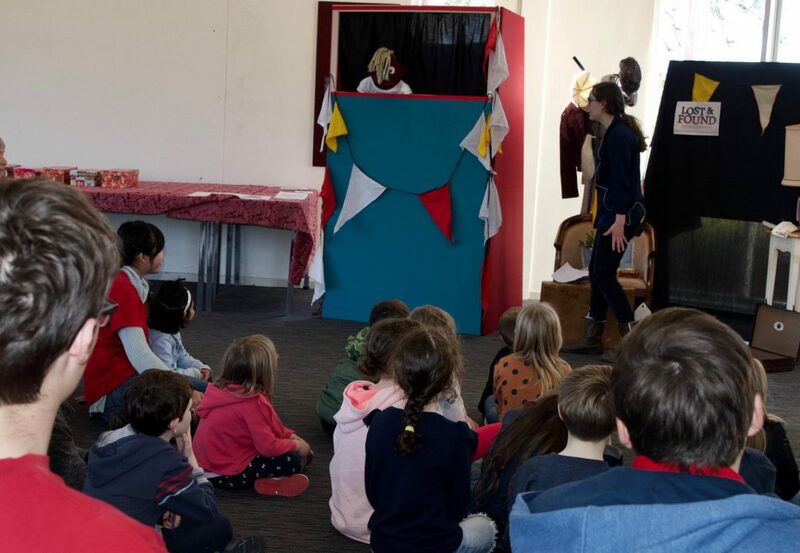 We always have a huge amount of fun with games, craft, skill challenges, biscuit decorating, Bible Storytelling, food, music and Rhubarb the puppet. We love having Children involved in the life of our church.